Residents and businesses in Deptford New Jersey have come to depend on Fast Response Plumbing for plumbing, heating, and drain cleaning services. Plumbing and heating issues are always an inconvenience which is why Fast Response Plumbing offers 24 hour emergency maintenance for all of our services. When a toilet does not flush or a faucet is dripping, our technicians will come to your home or business on time and ready to get to work. Our technicians will offer you an in-depth explanation of the repair techniques and products so you can make an educated decision on your plumbing needs. Our goal is to complete every project with the professionalism and cleanliness we would expect in our own home. 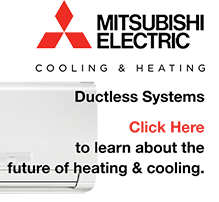 It can be frustrating for many homeowners when their home is not producing the correct amount of heat. Our technicians are able to look at a heater and find out what is causing the problem. A defective part will be replaced. At other times, a new heater is required. The professionals at Fast Response Plumbing can install a new unit quickly. Whatever the case may be, our technicians can take care of your heating issues. Clogs and slow moving drains can be sources of anger and frustration. Tree roots, dirt, oils and other items can prevent water from flowing within pipes. Many homeowners try to take care of these situations themselves, but the problems do not go away. Our professional plumbers will take care of the situation by unclogging drains and removing any blockage. Don’t fret over slow drains anymore! Emergencies that require a professional local plumber do occur. There can be flooding within a basement, for example. Quite often homeowners attempt to repair the issue themselves but end up damaging the pipes instead of fixing them. Emergencies require quick thinking and fast service. Fortunately for residents of Deptford New Jersey, Fast Response Plumbing has experience with all types of plumbing, heating, and drain cleaning issues. Over time, residents may notice that a water heater is not providing the heat that it once did. The dishes are not being cleaned correctly and what used to be hot showers are now barely lukewarm. Our technicians can inspect the water heater to see the cause of problem. Once the cause of the problem has been discovered, the heating unit will be repaired or replaced. • Deptford was the site of the first hot air balloon landing in North America, gathering that distinction when Jean-Pierre Blanchard completed his flight to Deptford from Philadelphia in 1793. 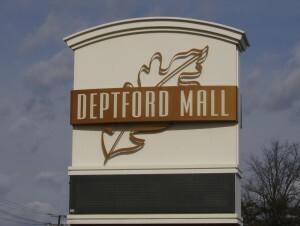 • Notable people from Deptford include Isaac Hopper, Bob Levey, David Rowe, and Shawn T. (the creator of Insanity and Hip Hop Abs).